The Duchess of Sussex's father has revealed how he dramatically hung up on Prince Harry during a heated telephone call over staging paparazzi photos. 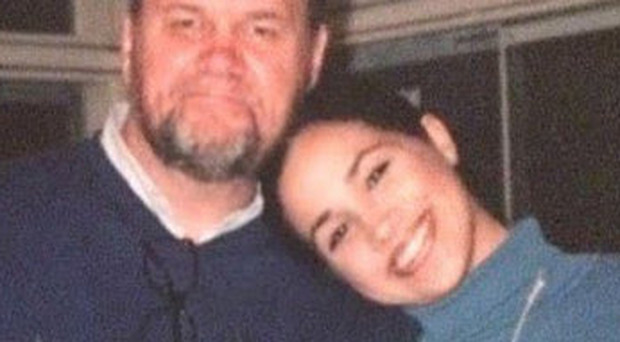 Thomas Markle also confessed to The Mail on Sunday that he lied to the prince when asked if he had co-operated with a photographer to pose for the shots - one of which showed him apparently being fitted for a wedding suit. The 74-year-old told Harry that he was simply being "measured for a hoodie". According to the newspaper, the photos made £100,000 for the photographer and a smaller amount for Mr Markle. The retired television lighting director said he was "hurt" at being admonished by the prince just days after suffering a heart attack that forced him to pull out of walking his daughter down the aisle. Mr Markle said: "Harry told me that I should never go to the Press. That it would end in tears. He said: 'They will eat you alive'. "He was right." Harry is said to have told him: "If you had listened to me this would never have happened." Mr Markle claimed he responded by saying: "Maybe it would be better for you guys if I was dead… then you could pretend to be sad. Then I hung up." He admitted that, in hindsight, the prince was "absolutely right" to criticise him. Meanwhile, The Sun has reported that Meghan wants time away from her father, after his interviews begging her to get in touch. US sources said: "She feels he needs and bit of space. She also wants to take a bit of time out.She's adjusting to married life and her role in the spotlight."